A superbug outbreak has been confirmed at the region’s main hospital. Visitor restrictions are placed at University Hospital Limerick while its dealt with. 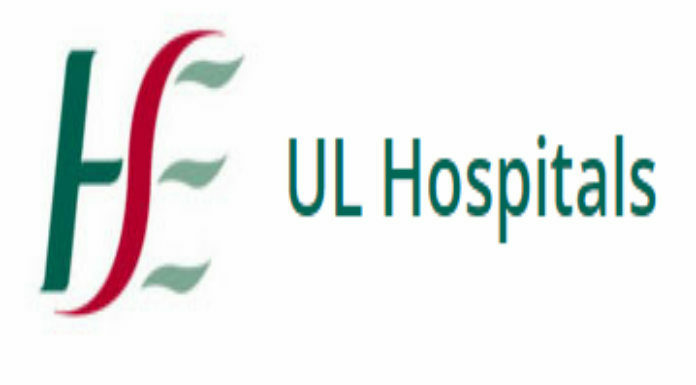 UL Hospitals Group can confirm that it is currently managing an outbreak of CPE (Carbapenemase Producing Enterobacterales) and that strict visitor restrictions are in place at University Hospital Limerick. There have been 21 new positive cases detected since June linked to this current outbreak. There are currently three CPE-positive inpatients at University Hospital Limerick and all necessary infection prevention and control measures are in place to manage this current outbreak. All cases detected since June relate to patients colonised with and not infected with CPE (see note below). Until further notice only one visitor per patient is allowed and during visiting hours (2pm to 4pm and 6pm to 9pm) only. Members of the public are reminded not to bring children on visits anywhere in the hospital. Parents visiting children are unaffected by the restrictions but are advised not to bring siblings. With high volumes continuing to present to UHL, these restrictions, while regrettable for patients and their loved ones, have been deemed necessary in the interests of patient care. All infection control measures are in place and every effort is being made to manage the situation with CPE-positive patients and CPE contacts being isolated and cohorted as appropriate. CPE is recognised as being endemic in the MidWest Region and UL Hospitals Group has developed comprehensive control measures to deal with Multi-Drug Resistant Organisms. UL Hospitals Group is proactive in screening patients for CPE in line with national and international best practice and guidance. This helps identify at risk colonised patients asymptomatically carrying CPE, allowing for the appropriate control measures to be put in place. Screening protocols that have been in place at UHL for a number of years have been the template for the development of the national screening policy for the National Public Health Emergency Team on CPE. There has been strengthened governance in relation to CPE across the UL Hospital Group including the establishment of a CPE Strategic Committee. Information on CPE is shared with senior management and clinicians and escalated nationally through the appropriate channels.